Since the advent of onboard motherboard audio and audio output on graphics cards, dedicated sound cards have mostly been relegated to an optional component of gaming PC builds. But for those who strive for the best possible sound experience, a sound card can make all the difference. 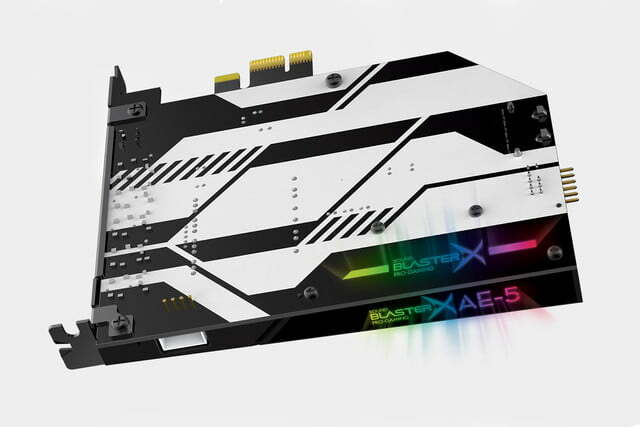 Creative recently unveiled their newest sound card, the Sound BlasterX AE-5, and it’s armed to the teeth with high-end components aimed at both the audiophile market and serious PC gamers. 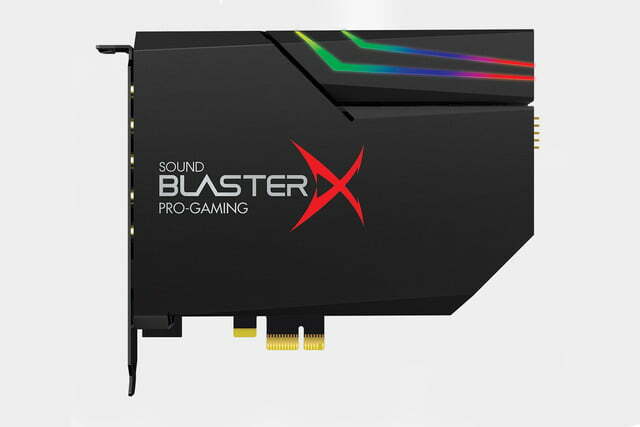 The Sound BlasterX AE-5 features a quad-core Sound Core3D audio digital signal processor (DSP), and a 122dB ESS Sabre-Class digital-to-analog converter (DAC). Having a powerful DAC is important, as it’s where the conversion from digital data to analog sound signal takes place, and Sabre’s chips are some of the best in the industry. They’re often used in high-end Yamaha receivers and Astell & Kern’s premium portable devices. 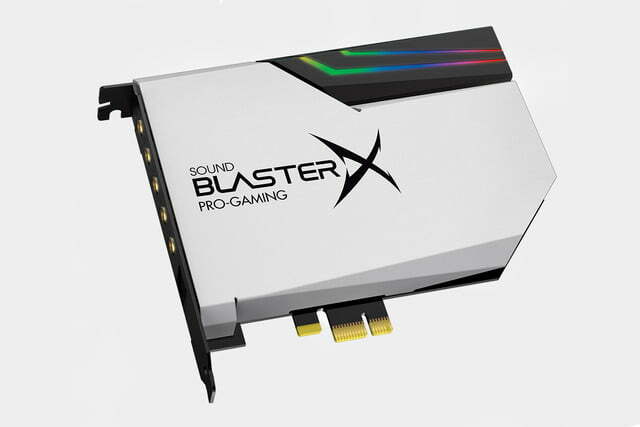 With these chips, Creative promises the Sound BlasterX AE-5 will multiply your onboard motherboard audio quality by up to 32 times. The soundcard’s playback quality tops out at a whopping 32-bit/348kHz, which is well above the average 28-bit/198kHz of most hi-res audio. While it is armed with the necessary specs for hi-res playback, the Sound BlasterX AE-5 also features an onboard Xamp Headphone Amp for driving headphone and headset audio. Each of the channels is individually amplified thanks to dual-amp design, which essentially means that each channel is separated, resulting in high clarity for each channel. Creative claims the Xamp can drive everything from sensitive in-ear earphones to studio-grade headphones thanks to an output impedance of 1 to 600 ohms. Beyond driving headset audio, the AE-5 also can support a 5.1 surround sound speaker setup. 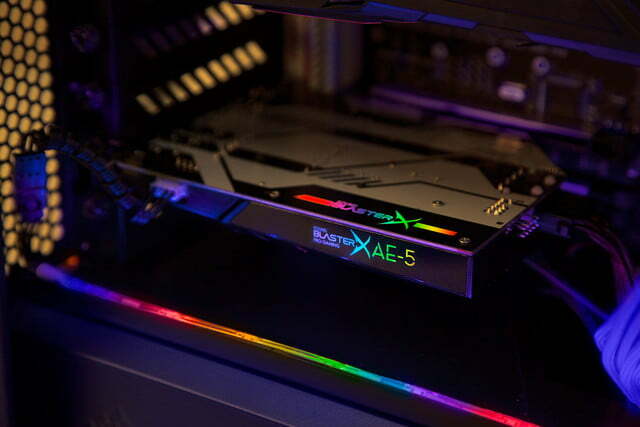 The thought of sacrificing space in your case for a sound card may be off-putting for some, but Creative seems to know the market it’s aiming for, and has anticipated the desire of PC aficionados to customize their devices to aesthetically fit in their desktop setups. The AE-5 has a built-in Aurora RBG controller which can light up the card via PCB and supports up to four LED strips. These different lighting elements can be controlled with Aurora’s Reactive Lighting System, which gives users the ability to chose from 16.8 million colors to display and program custom effects or variations. This RGB controller can also control various other devices, supplanting the need for an external RGB controller, and freeing up space for other components. 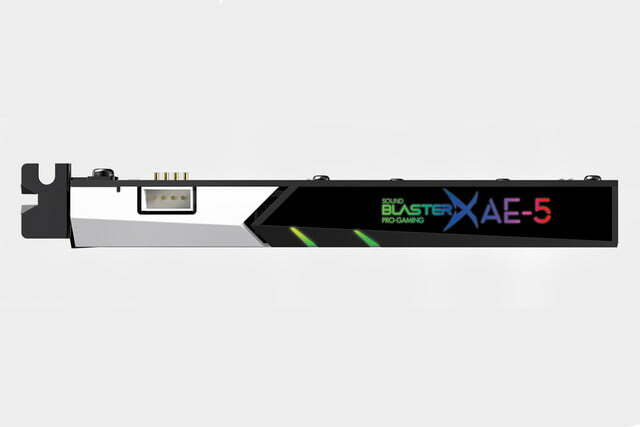 The Sound BlasterX AE-5 launches in July with a price of $150. Starting June 13, customers can pre-order the sound card from Creative’s website, or from retailers like Fry’s, Newegg, or Micro Center.